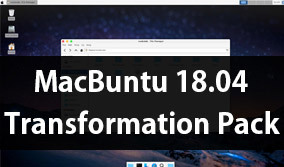 Faience icon theme is heavily based on Faenza icon set. 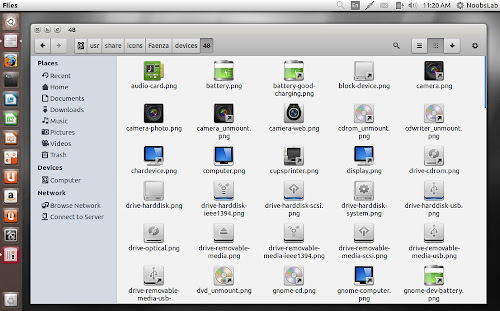 These sets provides monochromatic icons for panels, toolbars and buttons and colourful squared icons for devices, applications, folder, files and Gnome menu items. 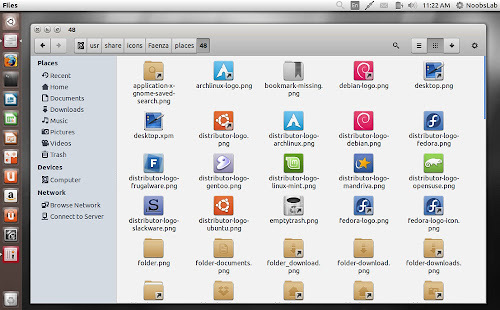 Faience and Faenza icons included four sets which can be fit with any light or dark themes with panels. 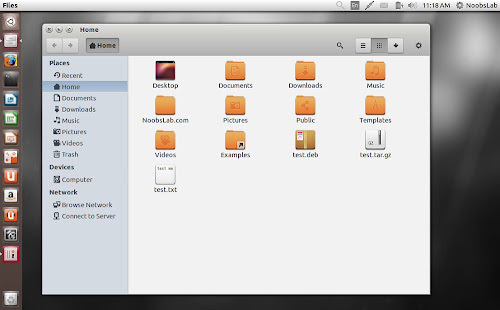 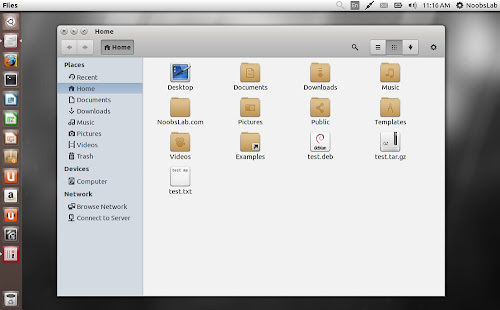 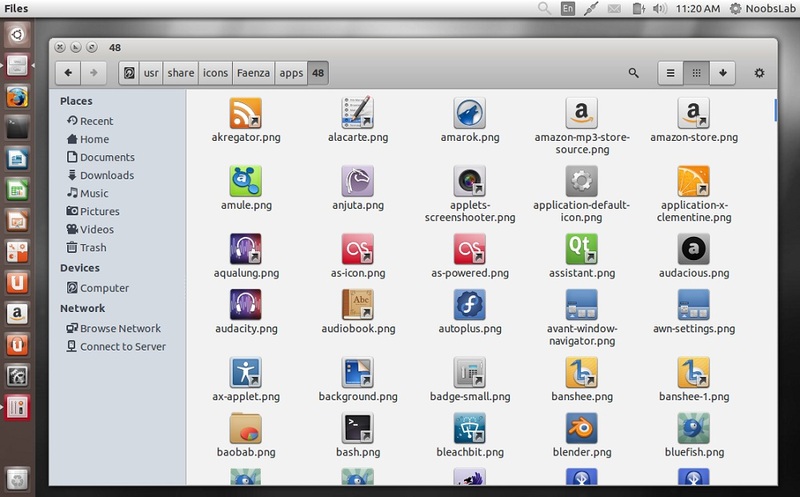 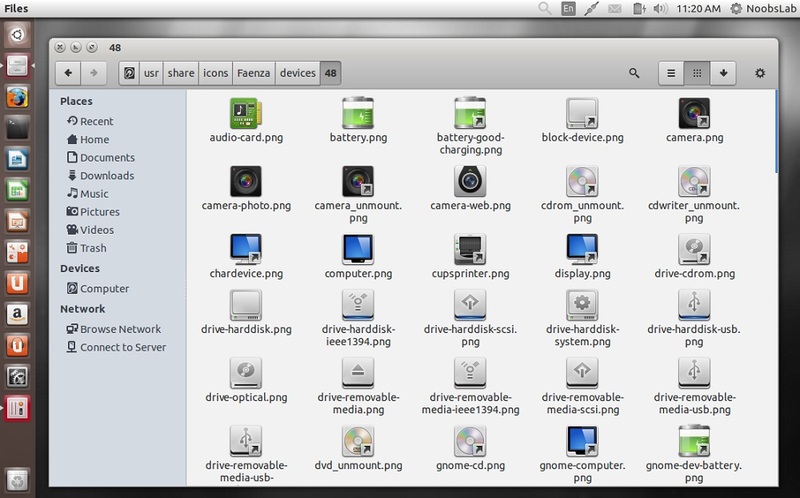 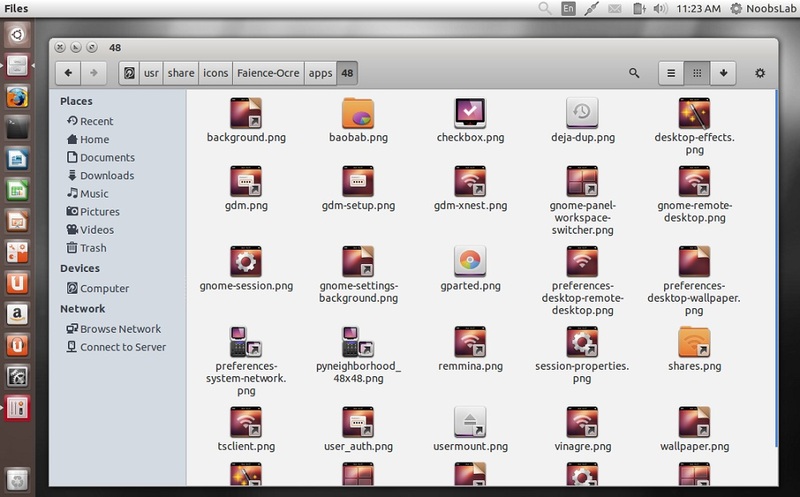 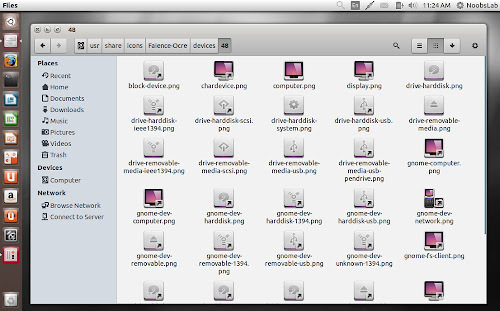 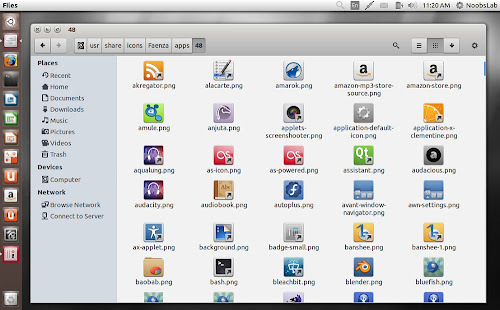 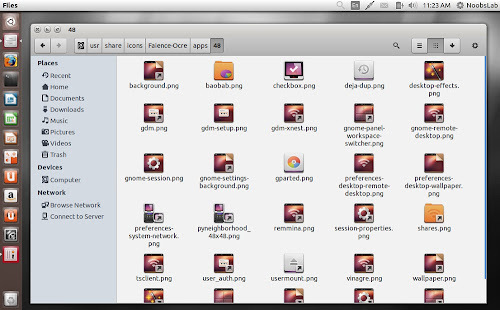 Also checkout Faience theme for Ubuntu/Linux Mint.